Hair and Beauty students from Chesterfield College were victorious after an Inter-College competition in which they competed against teams including both North Notts and West Notts Colleges. 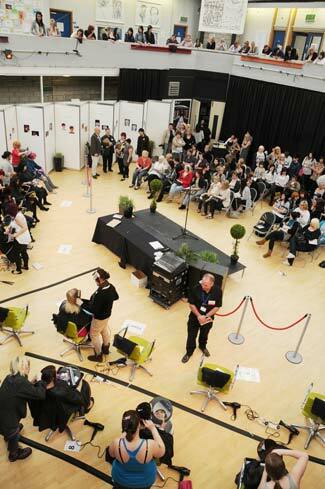 Held in the College's Dome building (left), the day saw the learners produce results in several categories of competition including hairstyles themed on Japanese anime; impressive Avant Garde hair creations and a variety of Nail Art. 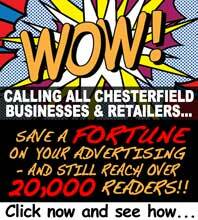 After adding up the scores per 1st, 2nd and 3rd places in each category, Chesterfield College ran out eventual winners. The competition was judged by Japanese Hairdresser Of The Year 2005 and director of over 250 'Lion' group salons, Shintaro Ide, who looked over the student hair designs live via an internet video link from Tokyo. Making up the rest of the panel were other industry experts including a representative from top hairdressing organisation Wella.